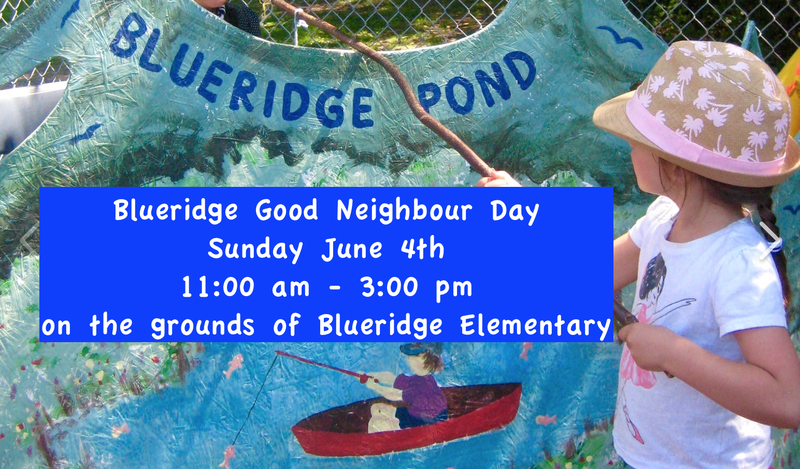 Sunday June 4th is the 20th Annual Blueridge Good Neighbour Day. Parade starts at 10:45am at Berkley & Hyannis. Full day’s events 11am-3pm. Live Music, Silent Auction, Cake Walk, Food Trucks, Beverage Garden (bring cash and your ID), Bouncy Castles, Rides, Popcorn, Pie Eating Contest and so much more! Come sporting your local heritage or Canadian spirit in celebration of 150 years of Canadian communities.